Baker City--All Cops On the Poor, All the Time! ENTERPRISE, Ore.—For the first time in recorded history, biologists have confirmed that tracks found in the Wallowa Mountains of Northeast Oregon are those of a North American wolverine. 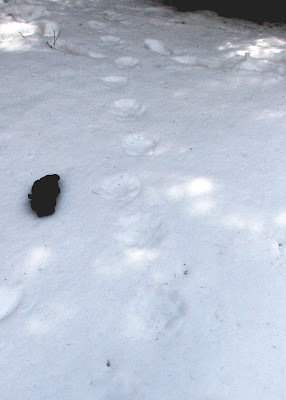 Researcher Dr. Audrey Magoun found the wolverine tracks in the snow on April 17 while hiking to a remote camera site set up to detect wolverines. She followed the tracks for about a mile until they left the river bottom headed into the high country. “From the size of the track, it is probably a male,” said Magoun who has dedicated her career to studying wolverine since she received her Ph.D. in 1978. Magoun also believed the habitat conditions were right, which was why she and research assistant, pilot and husband, Pat Valkenburg, undertook this winter’s survey in the Eagle Cap Wilderness. 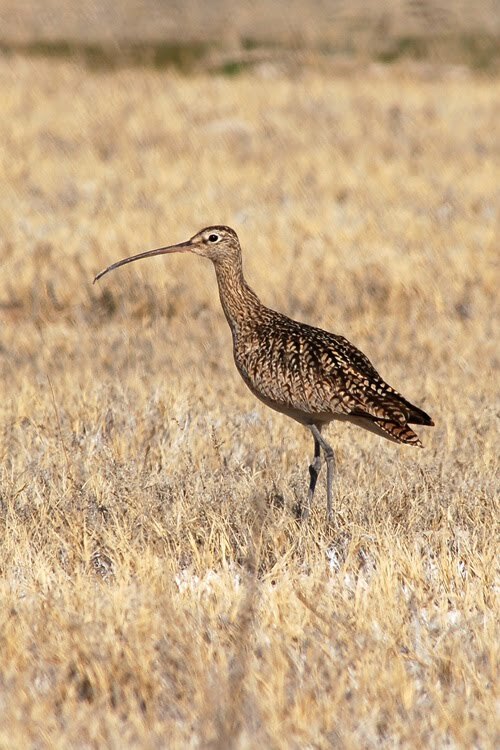 As part of the survey, 14 baited field camera sites were set up and several aerial flights made. None of the cameras have yet yielded a photo of a wolverine, but 80 percent of the cameras had photos of American marten and a few native red fox were detected. Biologists believe these animals are probably the native foxes that were once common in the Wallowa Mountains. 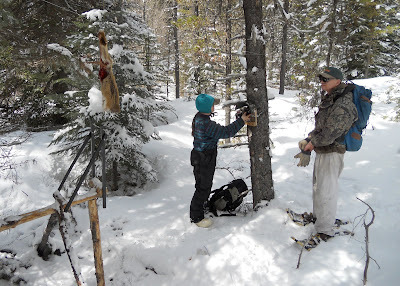 Coggins is interested in the data on marten and red fox in the higher elevations. “It’s great to know what species are using these areas—it’s indicative of the health of the habitat and helps with management decisions,” he said. According to Magoun, the next question is: Is this a lone wolverine or is the area occupied? She hopes to be back next winter field season to try and answer that question. Funding and logistical support for the survey comes from an Oregon Conservation Strategy Implementation Grant (federal State Wildlife Grant), The Wolverine Foundation, Inc., the Wildlife Conservation Society and private individuals including Magoun and Valkenburg, Alaska residents, who use their own plane for aerial surveys. 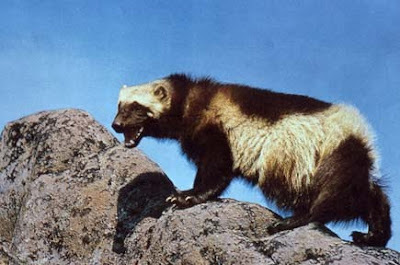 The wolverine was listed as threatened by the Oregon Game Commission in 1975, grandfathered as a state threatened species (May 1987) and reaffirmed by rule in 1989. It became a federal candidate species on Dec. 14, 2010. 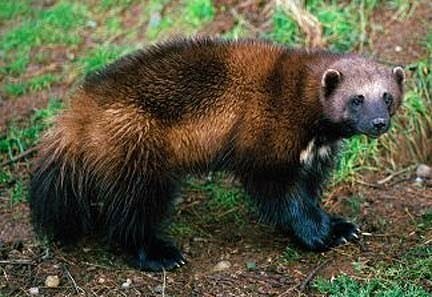 In 1936, the wolverine was thought to have been extirpated from Oregon. In 1965, a male was killed on Three Fingered Jack in Linn County. In 1973, a wolverine was trapped and released on Steens Mountain, Harney County. 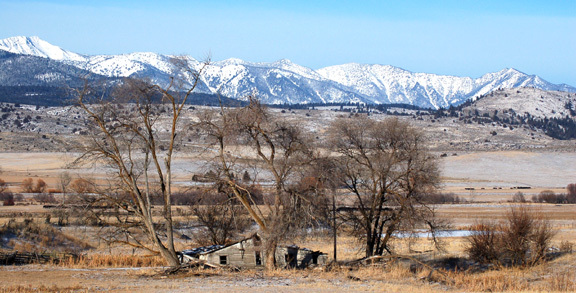 In 1986, a wolverine was trapped in Wheeler County. In 1990, a dead wolverine was picked up on I-84 in Hood River County. In 1992, a partial skeleton was recovered in Grant County. U.S. 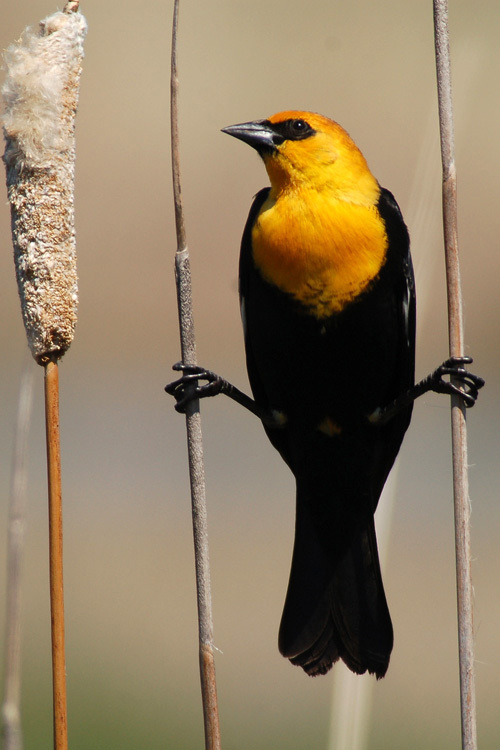 Fish and Wildlife Service website. Cliff Swallows have been back at the Phillips Ranch area cliff site since about the first week of April, but many more now. They are also at other sites down the canyon, but not all of their sites, and in lesser numbers. 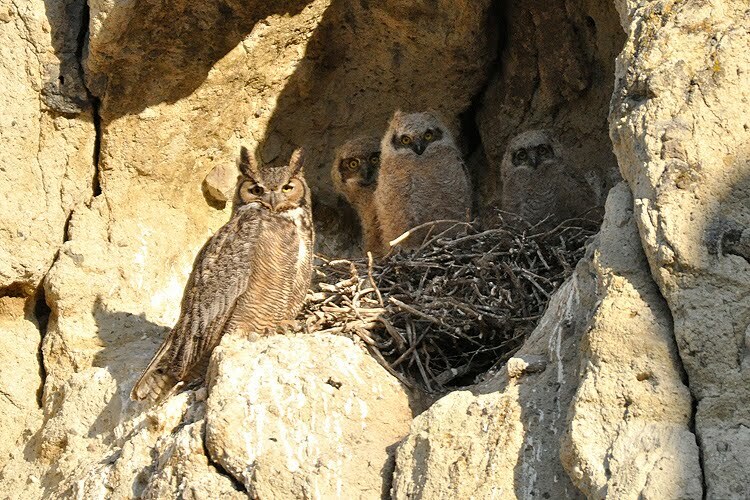 You can find their "gourd-shaped mud nests" on cliff faces and under the sides of highway bridges. 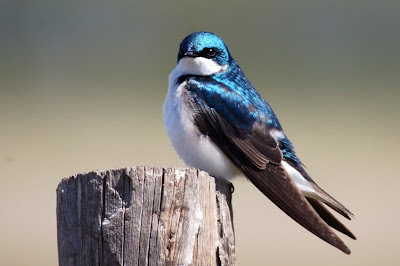 Cavity nesting Tree Swallows have been back even longer, since about mid-March. 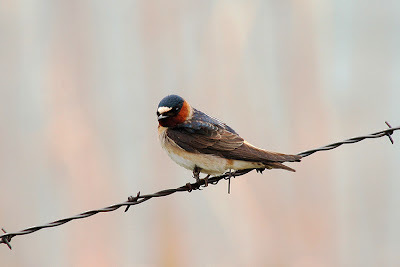 You can often see them over the UPS/Freeway ponds, or perched on the fence wire there. If you live outside the city, especially near water, they may use nest boxes put up for bluebirds. The Great Horned Owls in the cliff nest along Hwy. 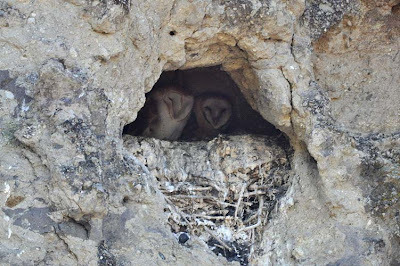 86 have one fairly large chick visible now, but I couldn't detect any with the two Barn Owls in the nest there on Earth Day. There were five or so Yellow-rumped Warblers in the lower Powder River Canyon on Earth Day at the Bishop Springs rest area, apparently feeding on small insects associated with the catkins in the upper canopy of the large old poplar there. I always take time to check the old tree for interesting birds when passing through in spring and summer. Also the rocks to the north and the two brush-choked gulches that join the Powder River there will often have something to offer. 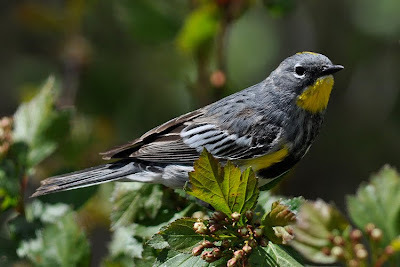 Two Song Sparrows and some Cliff Swallows were about the other day, but later in the year one might find a Black-headed grosbeak passing through, or summer resident Bullocks Orioles, Rock Wrens and Western Kingbirds. Joanne Britton, Jim Lawrence and group heared a Canyon Wren there on April 23rd (perhaps a first) Golden Eagles are often in the vicinity, and may be seen anywhere near the Powder River canyon. 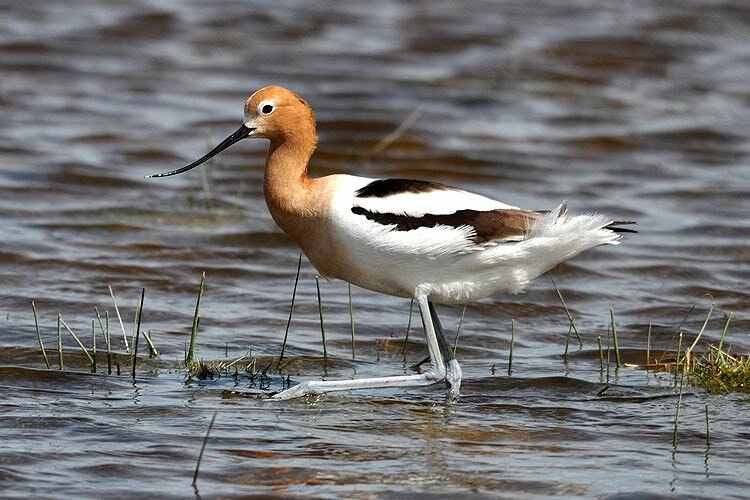 There was an American Avocet on one of the UPS/Freeway ponds yesterday. Yellow-headed Blackbirds were seen on their breeding grounds in the valley on the 16th and 17th and Joanne Britton's bird group saw a Lincoln's Sparrow on the Powder at the weigh station on the 16th, as well as bank swallows and White-fronted Geese elsewhere. The White-fronted Geese were still on the sewage ponds on the 19th. I saw 3 Curlews on Sunnyslope Road on the 17th, and Joanne Britton's group observed one somewhere in the valley on the 16th. The Common Goldeneye and Common Mergansers have left the ponds and the Powder River it seems, but Ruddy Ducks, Cinnamon Teal, Shovelers and Lesser Scaups have moved into the Baker Valley. 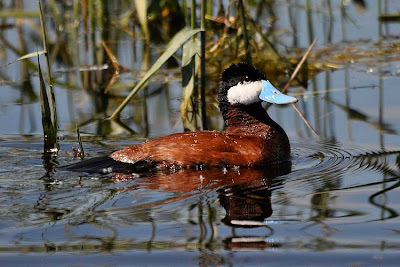 As noted in "Birds of Oregon" reference, the Ring-necked duck may be confused with the scaups. But as they say "The black back, white crescent on the side just in front of the wing, and white-ringed bill separate the drake male ring-neck from the scaups." 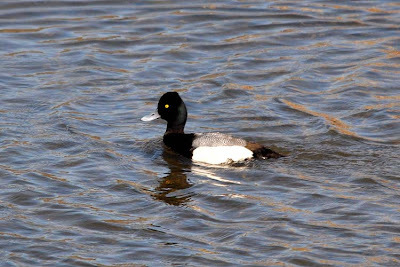 Note the lack of the front crescent and light gray, instead of black back in the Scaup photo above. 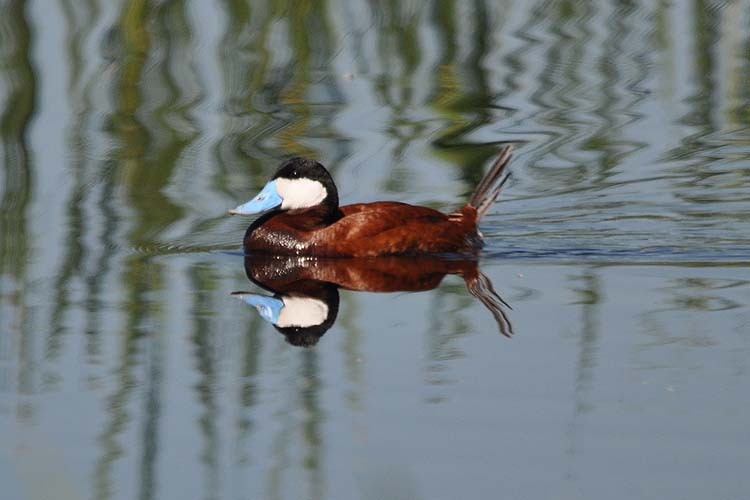 See: Bluebirds & Buttercups Proclaim Spring's Arrival in Baker County for comparison Ring-necked duck photo. 18 or so Ruddy's, perhaps my favorite dandy of the duck world, appeared in small flotillas last week at the sewage ponds, 18 on the 19th, and 16 more at the UPS/Freeway ponds on Earth Day (only saw two there on April 23). Still a few Ring-neck ducks, Gadwall, and Buffleheads around. Redheads were there on the 8th, but haven't seen them since. Heres one article of many that should be posted. Hello- Just wanted to let you know that Nicole Foss will be coming to Boise May 28th to give one of her presentations. I used to live in Baker County and know that you would be interested in this. Contact me at deflationista@gmail.com for more information. Beautiful pictures. I love to be a part of a icy reason but had not get a chance till now. Hope 1 day i will also explore the nature with full fledged.